this duo comes with Shell Sheen and Brun Beam. Shell Sheen is a light pink that is slightly shimmery, but not in a glittery, coarse way... sheen really is a great description! 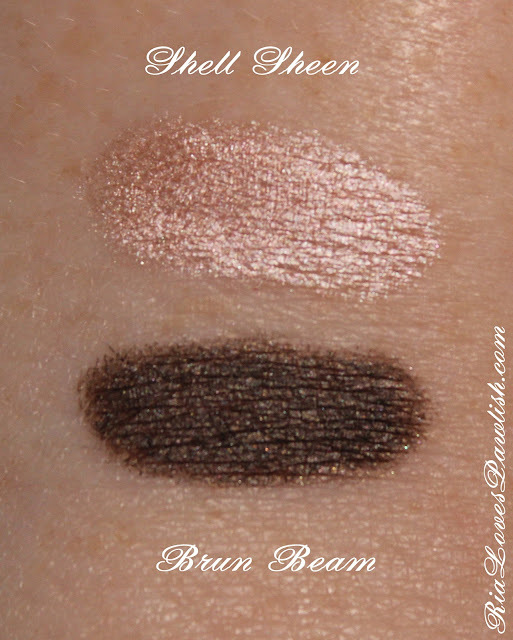 Brun Beam is a dark brown, it makes me think of black coffee. 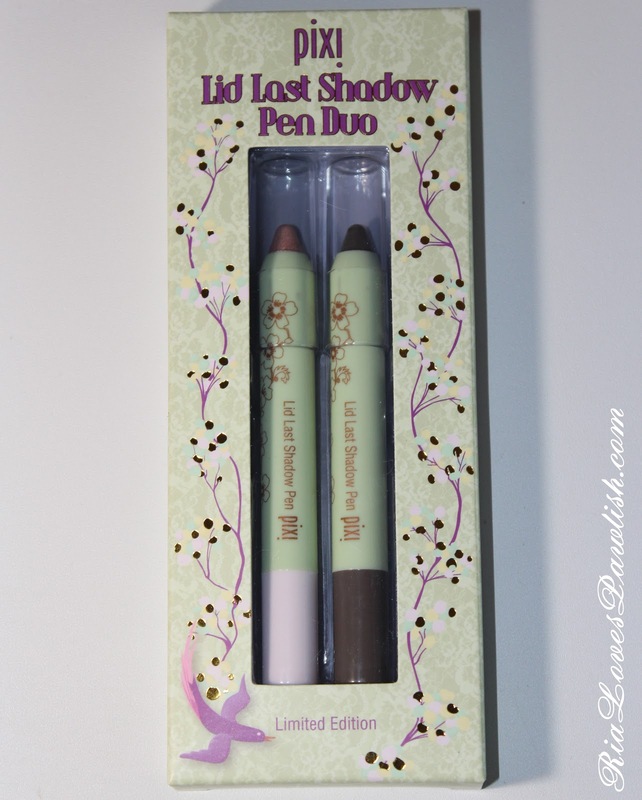 both are creamy and easy to apply! 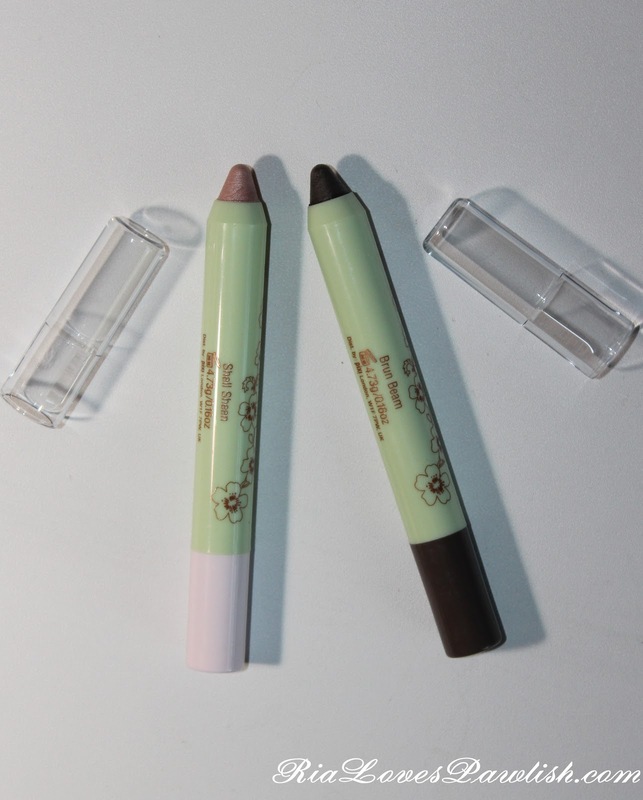 you can use these by themselves or as a base for eye shadow, they dry down to a powdery finish. they are free of parabens, triclosan, sulfates and pthalates; but, they have Vitamin E in them to help protect your lids! the Pixi Lid Last Shadow Pen Duo retails for $12 and can be found at Target stores and Target.com, and also PixiBeaty.com!